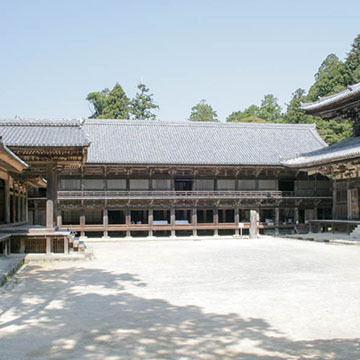 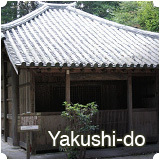 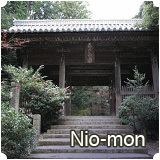 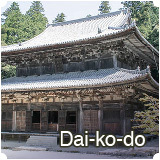 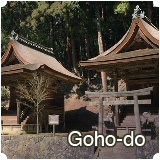 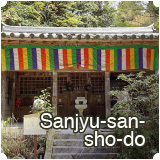 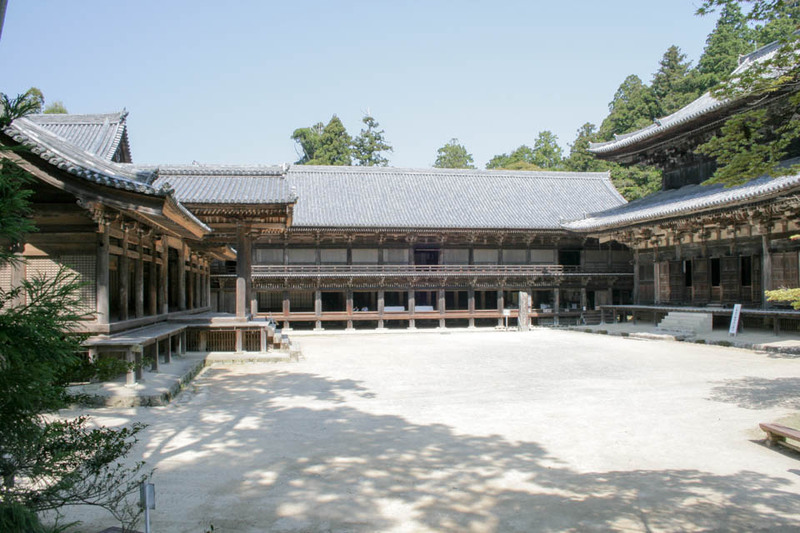 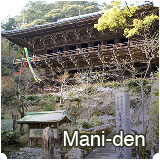 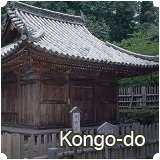 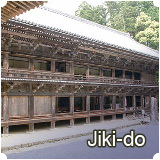 Called “Sanpo-in” in ancient times, Jiki-do was originally used as a dormitory for monks who practiced Buddhist austerities. 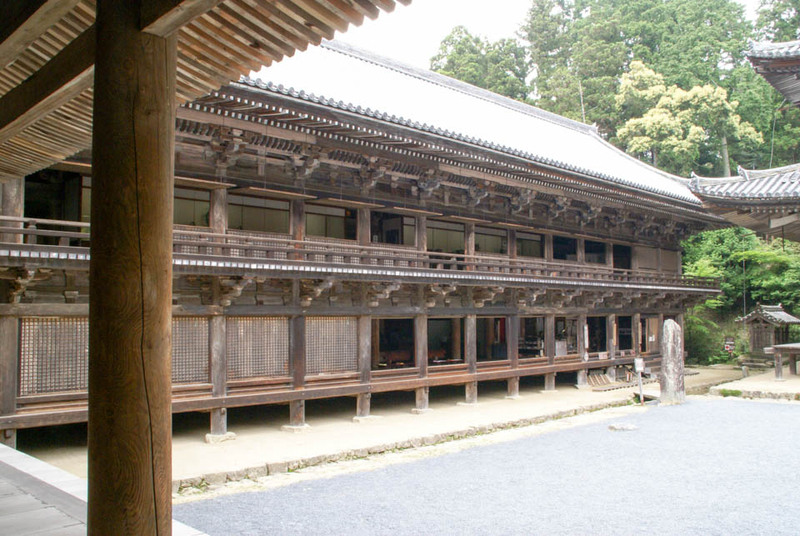 To enshrine Sogyo-Monju-Bosatsu (Manjushri Bodhisattva appearing as a Buddhist monk), Bosatsu of Wisdom and Intellect, Emperor Go-Shirakawa requested the construction of Jikido in 1174 (Joan 4th yr). 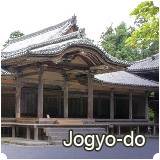 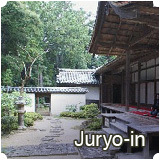 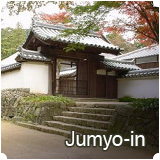 In 1338 (Ryakuo 1st yr), the framework of Jiki-do was raised, and in 1348 (Jowa 4th yr), it was nearing completion. 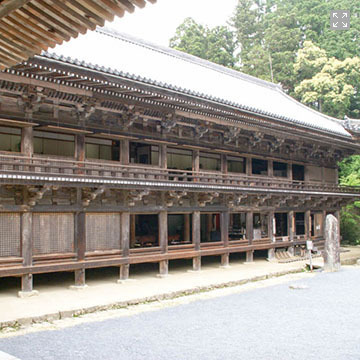 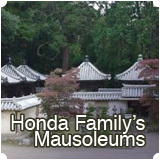 However, the present Jiki-do has the architectural style of the middle of the Muromachi period (the 15th century). 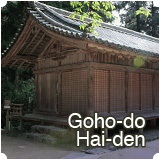 Unique for its architectural style, the 2-storied hall, Jiki-do is also known as “Cho-do (a long hall)” because of its length, about 40 m.
Left unfinished for several hundred years, it was dismantled in 1959 (Showa 34th yr), reconstructed and finally completed in 1963 (Showa 38th yr). 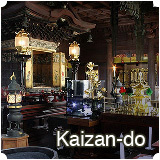 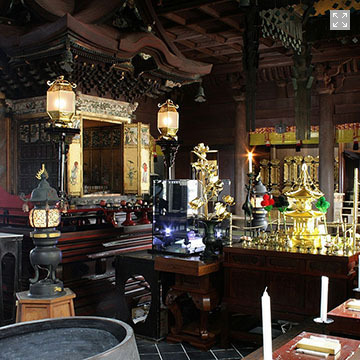 Sutras (Buddhist texts) are copied on the 1st floor, and various treasures are displayed on the 2nd floor.